Supercritical fluid extraction (SFE) is a separation process based on the contact of a substance containing the extractable compound with a solvent in supercritical conditions. Today, C02 SFE has become a promising technique used in many areas. Some of the motivations for its employment are that the solvent is non-toxic, recyclable, cheap, relatively inert, non-flammable and the process improves product quality and product recovery. Nevertheless, fixed bed SFE of oil from a solid matrix has a slow dynamics even when solute free solvent is recirculated and therefore improvements in mass transfer are required. The use of high-intensity ultrasound represents a potential efficient way of enhancing mass transfer processes. This is due to the effects produced by compressions and decompressions, as well as by radiation pressure, streaming, etc. In addition, this is probably the unique practical way to produce agitation in SFE because the use of mechanical stirrers is unable. Ultrasonic extraction with supercritical CO2 of oil from particulate almonds using high intensity ultrasound has been carried out. An ultrasonic transducer was installed inside a high pressure 5 L extractor and a power of about 50W was applied during the extraction (see pictures). In order to examine the effects of the acoustic waves all experiments were performed with and without ultrasound, replicated twice. The experimental results have shown that the kinetic parameter, considering a second order kind process, was improved by about 30% due to ultrasonic radiation and the extraction yield of the oil was enhanced in 20% at the end of the process (8.5 h) (see curves). E. Riera, A. BLANCO, J. GARCÍA, J. BENEDITO, A. MULET, J. A. GALLEGO-JUÁREZ, M. BLASCO, High-power ultrasonic system for the enhancement of mass transfer in supercritical CO2 extraction processes. 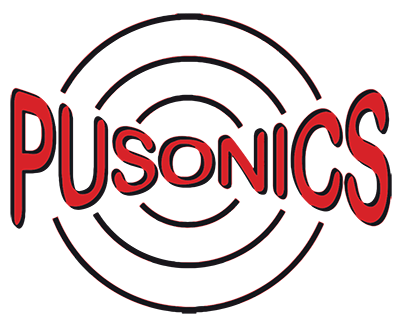 Ultrasonics, 50, 2010, 306-309. E. Riera, J. A. Gallego-Juárez, F. Montoya-Vitini, A. Blanco-Blanco, A. Mulet, J. Benedito, R. Peña, Y. Golás, A. Berna, S. Subirats, M. Blasco, J. G. Reverter, Separation or extraction method using supercritical fluids assisted by high-intensity ultrasound. International patent application PCT/ES03/00398, 2003. E. Riera, Y. Golás, A. Blanco, J. A. Gallego Juárez, M. Blasco, A. Mulet, 2004a. 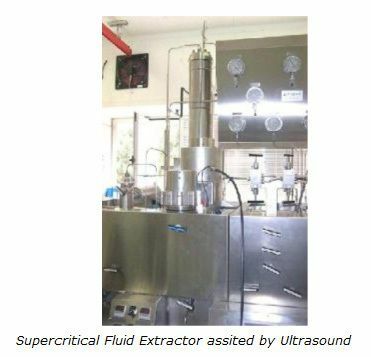 Mass transfer enhancement in supercritical fluids extraction by means of power ultrasound. Ultrasonics Sonochemistry, 11, 241-244. E. Riera, G. Rodriguez, F. Vázquez, F. De la Fuente, C. Campos, J. A. Gallego–Juárez, A. Mulet, Development of a Fluidized-Bed Dryer System Assisted by Power Ultrasound. In: 9th Meeting of the European Society of Sonochemistry, Badajoz (Spain)2004, p 79-80 (OC-20).